You love when everyone in your family has a reason to smile. So why don’t you give them one more by visiting the Fort Collins family dentist at Aspen Dental Care? Trusting the same dentist to care for all your loved ones’ smiles makes your life easier — and increases everyone’s dental health, too. We’ve listed three reasons you should be visiting a family dentist here. Do you have more to add to the list? Let us know in the comments below! Choosing a dentist that everyone in your family will share helps to build positive attitudes toward visiting the dentist. How? Your children look to you for everything, and that includes how you feel about visiting the dentist. When you share the same dentist, they’ll see that you visit the dentist regularly — and that you don’t mind going, either. That will be a big signal that good dental health isn’t something to dread, and that a strong, healthy smile is something to value! Additionally, visiting the same dentist as their parents helps children feel less anxious. They come in knowing we’re a team their family trusts. Caring for a family means you’ve already got enough on your plate. You don’t want to have to keep up with multiple dental offices, teams and specialists all over Fort Collins to keep everyone in your family smiling strong. One of the biggest advantages of visiting a family dentist is that you’ll be offered a number of services to care for the needs of smiles of all ages. Aspen Family Dentistry provides excellent preventive, general, restorative and cosmetic services — all under one roof. Family dentists offer one big benefit for parents like you: convenient appointment scheduling. You don’t want to have to take numerous vacation or sick days to take everyone to the dentist, and we don’t want you to do that, either. Aspen Dental Care will work to provide convenient scheduling to get your whole family in around the same time. Interested in Quality Family Dentistry? Contact Us Today! 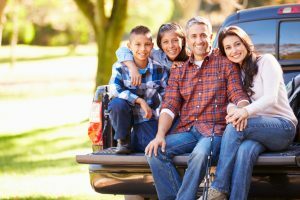 Aspen Family Dentistry is the experienced, compassionate team you want to care for your family’s teeth. Why don’t you get in touch with us to schedule an appointment for you or your loved ones today? Twice annual checkups and cleanings are crucial for the continued health of smiles of all sizes and ages. Request your appointment online today!